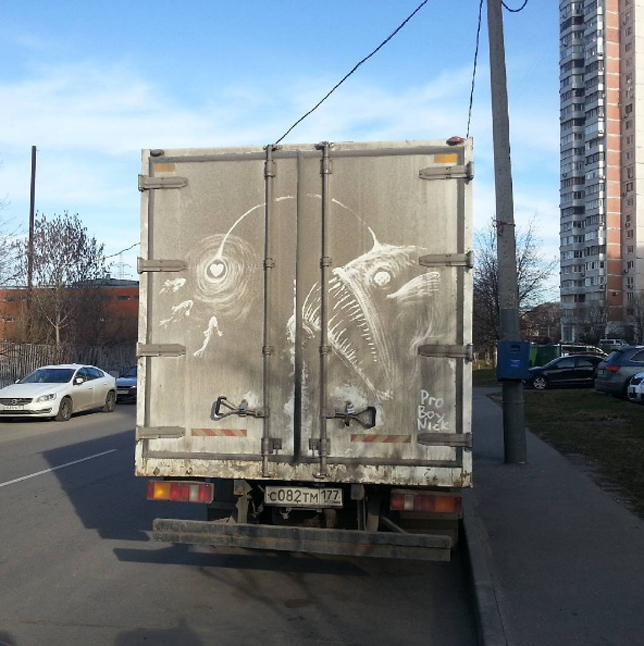 Massive deep sea monsters, jungle predators and swamp creatures lurk in the grimey shadows on the backs of trucks, thanks to interventions by illustrator Nikita Golubev. 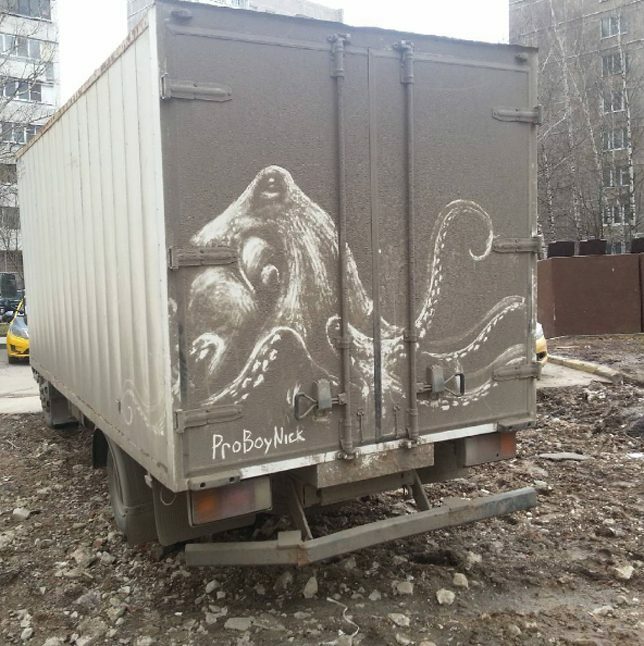 Most of the featured critters are of the potentially creepy variety, including a deep-sea angler fish, octopus, shark, alligator, lion, owl and orangutan. 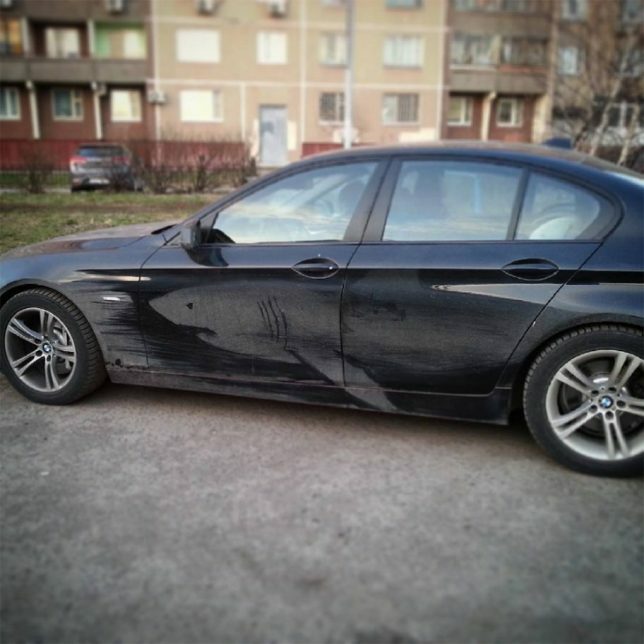 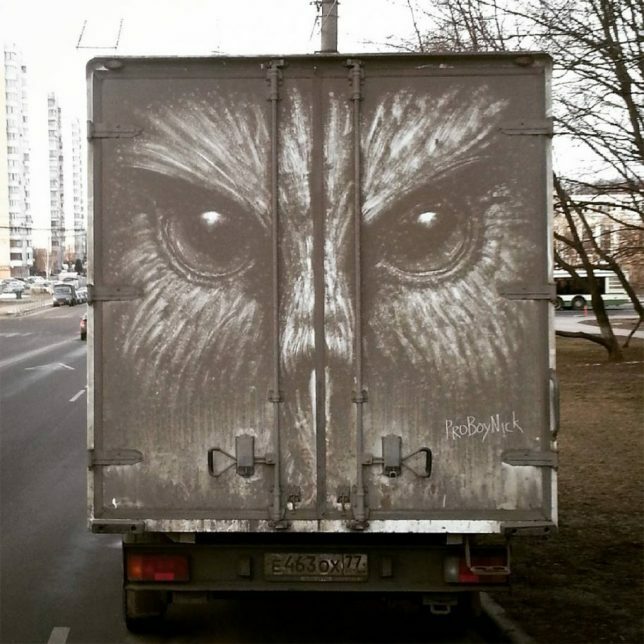 Based in Russia, the artist works on cars sometimes as well, but finds the broad doors and long sides on larger vehicles particularly inviting as blank canvasses for light-on-dark works of art. 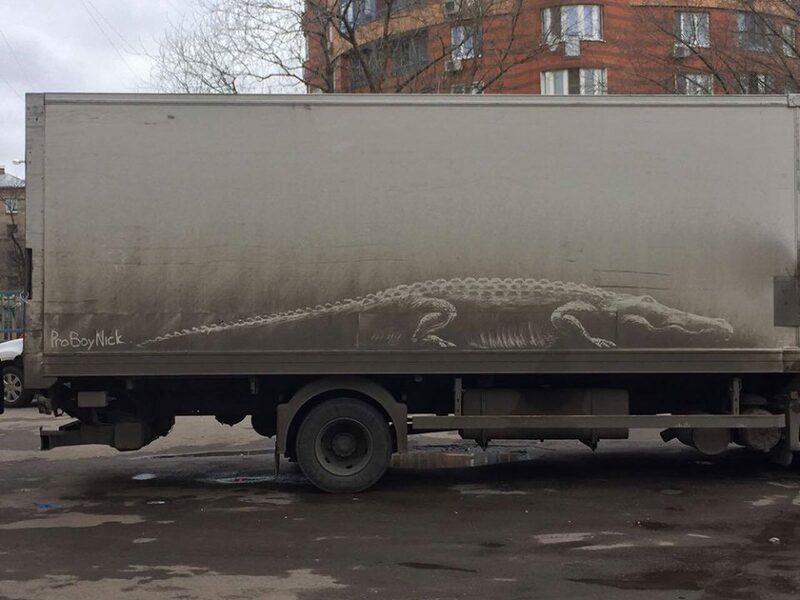 As a subtractive strategy, there is less risk associated with these impermanent pieces as well — at worst, some truck driver may be less than amused to find their dirty vehicle highlighted in such a way. 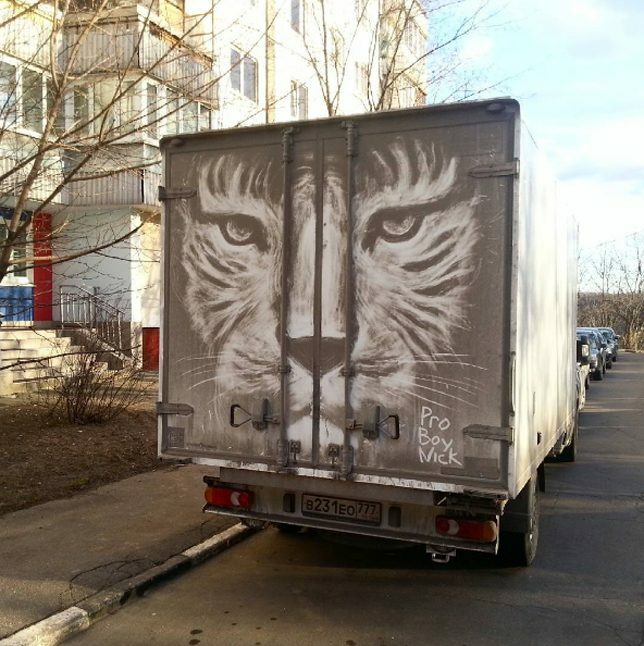 Reverse graffiti is nothing new, but most artists who work in that vein operate at smaller scales, cleaning up sections of door and rear windows rather than tall trucks. 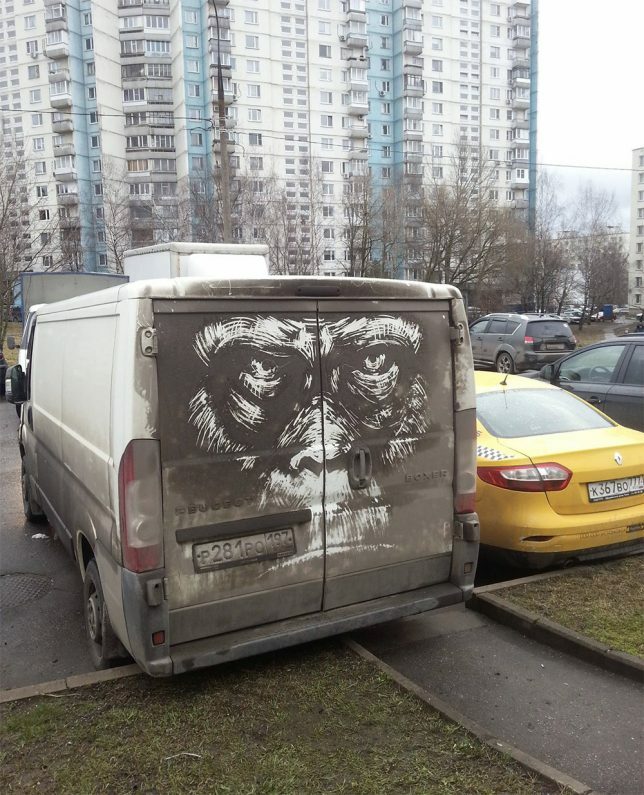 Naturally, these pieces are all temporary, destined to come off in the wash or rinse out in the rain (but live on in photographs).